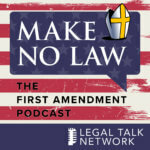 Maria de Cesare is an entertainment lawyer and writer in New York City and the founder of Sweet Hot Justice, a news and entertainment website for lawyers. She began her legal practice in the corporate department of the law firm of Latham & Watkins in both Los Angeles and New York, followed by in-house counsel positions at two major media companies in New York. She has been a frequent on-air contributor to the Huffington Post Live, speaking as an expert on various legal, entertainment, women’s and pop culture matters. Her essays and other writing have appeared in the Huffington Post, Above the Law, Jezebel, California Lawyer Magazine and the Southern California Law Review. Prior to becoming a lawyer, Maria was a theater producer and actress in New York City.